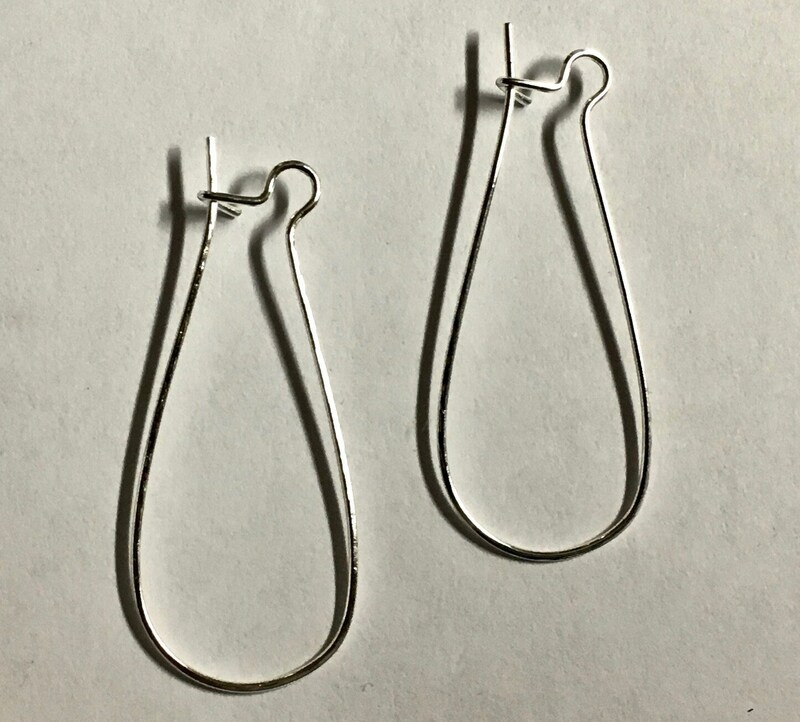 12 pairs silver plated surgical steel long kidney hook earwires, 20 gauge wire. These measure 30mm length x 14mm width. Lead and nickel free. Package of 24 pcs (12 pairs).